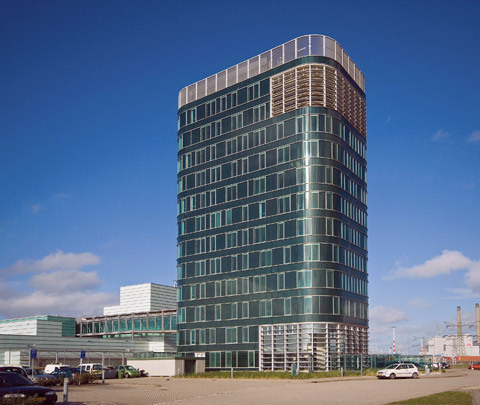 This customs complex combines a 12-storey office building and a low-rise block where containers can be scanned. The office building, a concrete structure with a glass infill, is designed as a landmark with its rounded corners and expressive green colour. High up in the building is the company canteen with a view out across the expanse of Maasvlakte.